Every senior living conference I’ve attended over the last 12 years has shared a unifying theme: personalization is essential to all facets of the industry—whether in reference to care, customer service or anything in between. Statistics show that revenues grow exponentially when customer experience (CX) metrics improve. 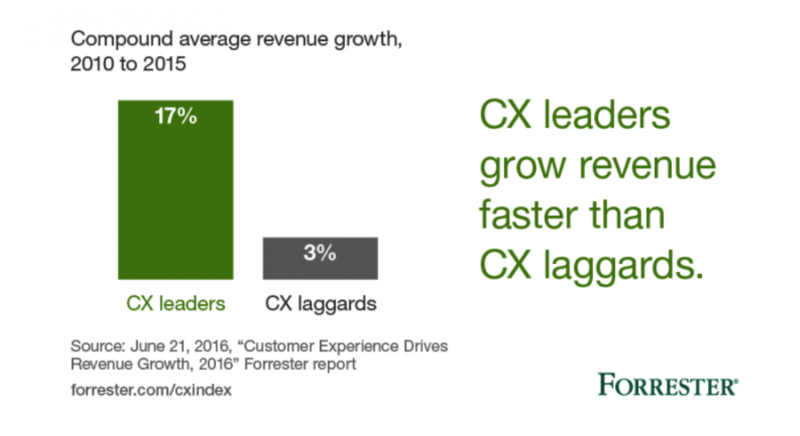 A recent Forrester study, for example, found that CX leaders grow revenue faster than CX laggards, with leaders seeing a 17% compound average revenue growth rate (CAGR), compared to only 3% for their CX laggard counterparts. The senior living industry is a young one. It was born when nursing homes expanded and evolved to new models, including assisted living; supportive living; personal care homes; continuing care retirement; life care communities; retirement communities; independent senior communities and more. Additional evolution has taken place over the last few years. Now, those aging at home are supported with village-to-village networks, home health, home care and long-term care at home. Person-centered, person-centric, individualized, consumer-centered… In the end, it’s all personalization, whatever they decide to call it. What Drives the Residential Experience? Real estate has always been a central component of the Seniors Housing world. But in the digital age, the way consumers make purchases and access services is becoming even more influential. Personalization is everywhere. There’s content marketing and targeted advertising. There’s also personalized emails, bitmojis (yes bitmojis) and experiential shopping, to name a few more. Consumers expect personalization and are demanding more and more of it. We see a lot of personalization happening on the digital front. But how can we as an industry build best with personalization beyond digitization? 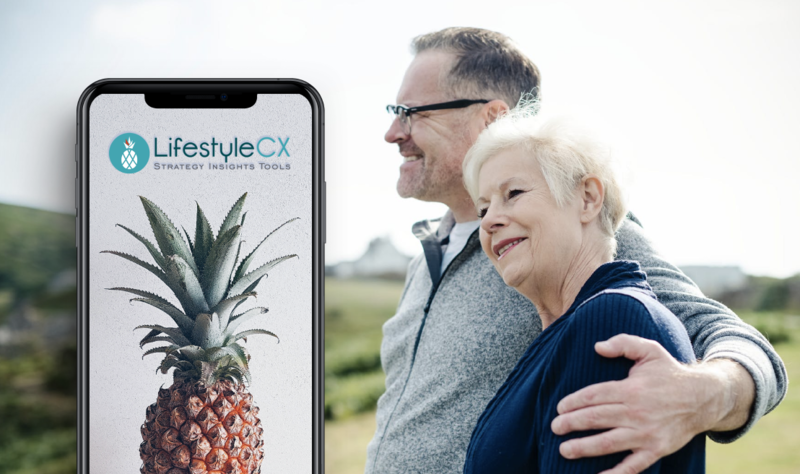 LifestyleCX has a simple yet profound mission: to help senior living providers connect more deeply with each consumer throughout the entire relationship. Stay tuned… As we explore our successes, we will share best practices with all of you. Your sales team is giving tour after tour with decreasing close rates. Your occupancy rates continue to decline or remain the same, teetering on unprofitability. You keep asking yourself, why? Personalization and making sense of your prospect and resident data is paramount to your success now and in the future. It’s important to ask prospects the right questions the right way, collect their answers and share them with your team. After all, you want these prospects to join your community and be residents that are happy with where they live. That starts with truly understanding their needs. This is where the LifestyleCX Senior Living Engagement Platform enters the equation. Sales associates can use the platform to send prospects intuitive experiential surveys that ask the right questions. Their answers can help you create fully customized and personalized tours, increasing the chances they’ll want to call it home. You’ll know them, their interests, their needs and much more. Imagine you conduct a survey using LifestyleCX and find out one of your prospects is a vegetarian who’s interested in the arts. During the tour, you can offer a vegetarian meal and highlight your facility’s appreciation of the arts—increasing the chances they’ll feel comfortable. In this light, personalization proves that you care and are willing to meet the needs of all of your residents. The LifestyleCX platform can also help you improve your residents’ experiences. Send them regular surveys and use that information to develop programming that truly interests each of them. It’s the perfect way to show you’re listening and that you care. Because knowing the little things means everything. Use data to make yourself—and more importantly, your team—more successful. Personalize your tours. Cater to the needs and wants of your residents. Build programming your guests want. Try the LifestyleCX Senior Living Engagement Platform today. Happy prospects and happier residents await you. For the past 10 years, Ms. Sullivan has been instrumental in growing startup technology companies focused on serving the senior housing industry. These companies delivered technology platforms that focused on leveraging technology to benefit residents, families and communities and improve operations. Prior to founding LifestyleCX, Terri was VP of Sales for Caremerge, a care coordination and communication company. And prior to Caremerge, she was SVP of Sales at ConnectedLiving, an innovative technology company connecting associates, residents and families. She brings with her an extraordinary understanding of the senior living market as well as strong relationships throughout the industry. Prior to entering the senior housing industry, she held various sales leadership roles within global companies such as 3M, PGI and NEC America.